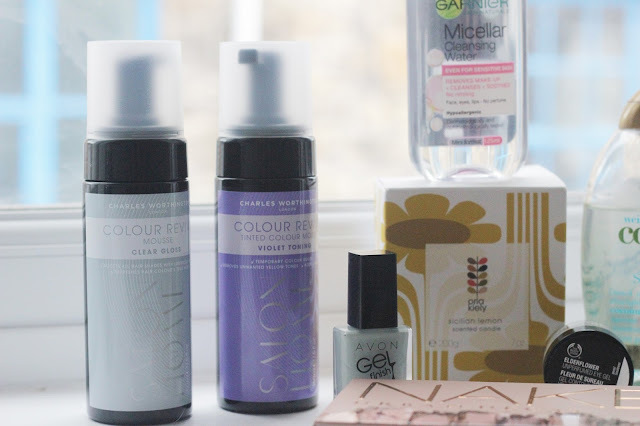 August was the month I discovered new products that I adore, it was all about the skin care and hair care this month. 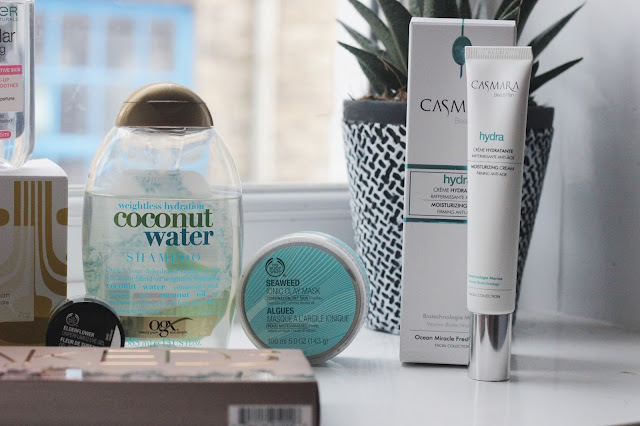 I decided to pick up the Coconut water shampoo because it was on offer at Boots, it is one of the best shampoos I have used in a very long time. My hair needs products that are light, it is easily weighed down. This shampoo leaves my hair soft, clean and super shiny which is what you want. I have a sensitive scalp too and this shampoo works well for this, its light and smells great. I headed into the Body Shop to pick up a new face mask and ended up with the sea week mask, this such an incredible product. I was given a sample during a Body Shop event a few months ago which made me want to go and get the full size. This mask works great on my combination skin, its best used when I am having a bad skin day or I've had a long week. It leaves my skin soft and it feels like a real treat on the skin, it works deep into my skin which leaves it feeling extra clean.It helps to draw out impurities and refreshes the skin, it is £14. This product is an old favourite that I ran out of but decided to try something else which didn't work on my skin. I noticed I was breaking out and my skin was very dry, so when I nipped into Boots on my dinner break I saw this on the side for £1. I had to pick it up because it has been a savior for my skin, a few days later my skin looked less dry and clear. 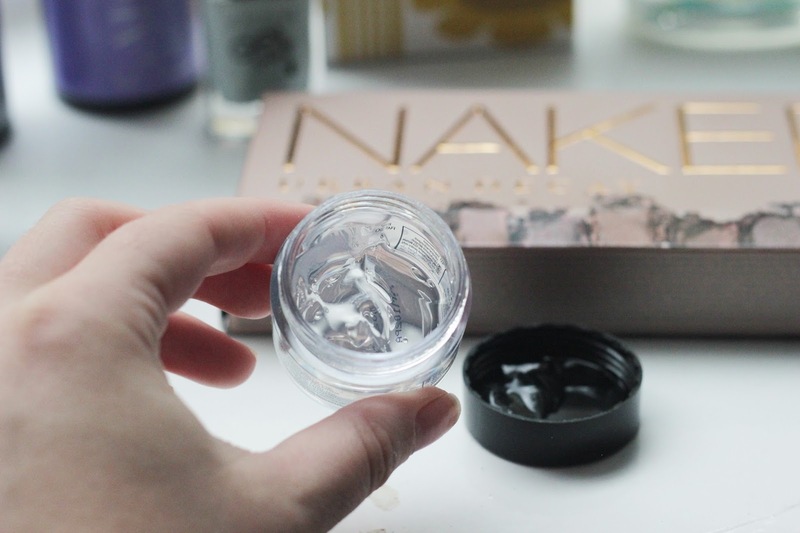 I missed using this product and I must make sure I never run out of it again because I could see a huge difference in my skins texture and look when I stopped using it. This is a small bottle 125ml but when I nip into Superdrug I know I will need to pick up a larger bottle, it is one of the best skin care products I have ever used. The 400ml is now on offer for £3.29 at SuperDrug. A few months ago myself and my mom made an Avon order together and we decided to treat ourselves to some new beauty products. My mom is like me, she really enjoys using and trying out beauty products and keeping them all safe and neat in our bathrooms. This nail polish I have been using for the past two months, I love the finish of it and the colour is a beautiful duck egg shade. This is the shade Alaska and it glides onto the nail well due to the large brush for application, leaving you with a smooth gel finish, this is such an amazing formula. I would highly recommend trying some out next time you make an Avon order. I dye my hair and sometimes it looks dull and I end up wanting to redye it weeks later. I have come across some amazing hair products this August, fuss free and easy to use on the hair. You apply it to damp hair and dry your hair as usual which is great because I tend to do my hair quickly ready for work. Charles Worthington* have made products that revive your hair colour, they offer more shades too. The mouse lasts 2-3 washes to keep your hair looking shiny and fresh, which is why I dye my hair. 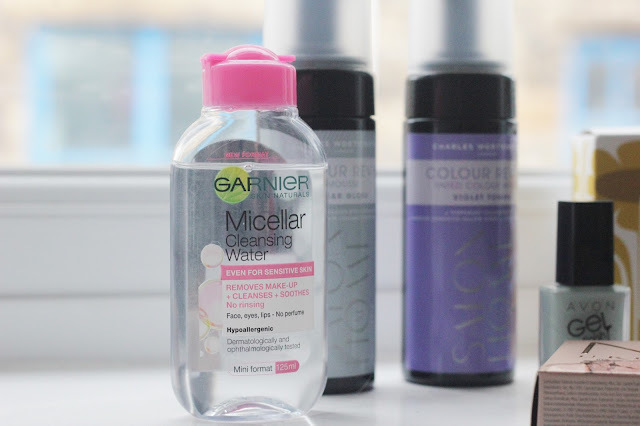 You can use the products on non coloured hair for a boost of colour that washes out 2-3 washes later.All you have to do is apply the mouse to damp hair, add 2,3 pumps to your hair in sections and comp through. For the best results blow dry your hair after this step, it leaves my hair shiny with a boost of colour until I dye my hair later in the month. It helps to keep on top of my colour which I love, leaving the hair looking refreshed. When I attended The Body Shop event in Manchester a few months ago there was an offer on, if you spend over £25 you get some free products. 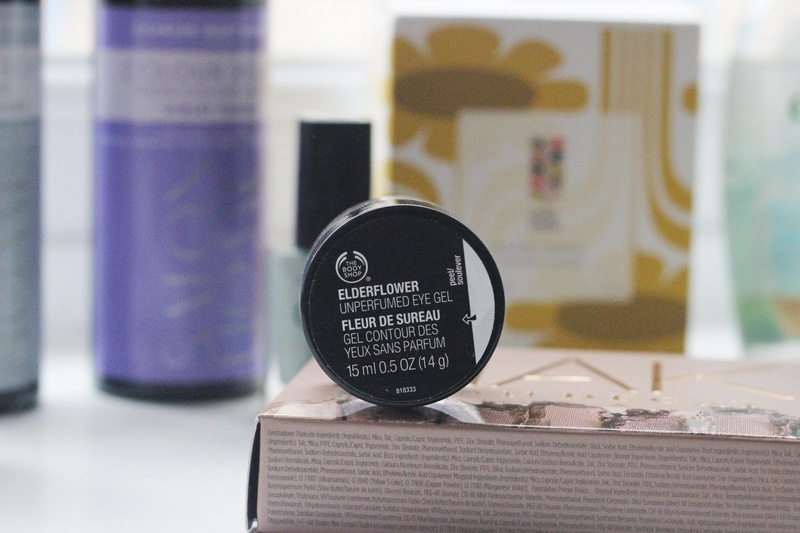 I treated myself to a few bits that I really wanted to try and I got this eye gel free. At the time I wasn't over excited to try it but as soon as I started using it I fell in love. I have been using this product every single night and I can see results. Its cooling on the eye and it feels great applying it, its soothing and helps to prevent dark circles. I love the elder flower scent to it, subtle yet gorgeous. This has been a huge part of my skin care routine before going to bed, it feels amazing on my skin and I just can't stop using it. I have been using this alongside the Casmara Hydra cream* and my skin feels soft, smooth and clear. I tend to get dry skin on my face which makes applying makeup difficult but this face cream has become my miracle worker. I'm using small amounts to try make it last, it is perfection. Lets take a moment to appreciate the packaging of the Naked 3 palette*, its gorgeous. I have been loving using this palette in August, I have used it everyday for work and days out, the texture and pigmentation of the shades are incredible, its perfect. 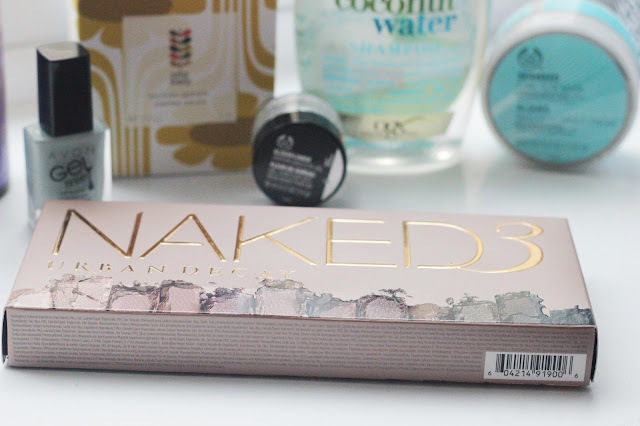 I have a full review here of this palette if you fancy a read. I am in love with this palette, you can create so many looks with this. I have been loving watching Fleur's vlogs in August, she is my all time favourite blogger/ Youtuber. I have been loving a song in August too which is a cover of Blank Space by Imagine dragons, have a listen here and let me know what you think?